Moving into 2005 and you can clearly see the results of 2 years of restoration. 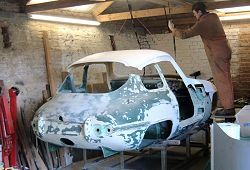 With the roof and front end removed there is now more Rochdale on Robert's scrap pile than there is on the car. 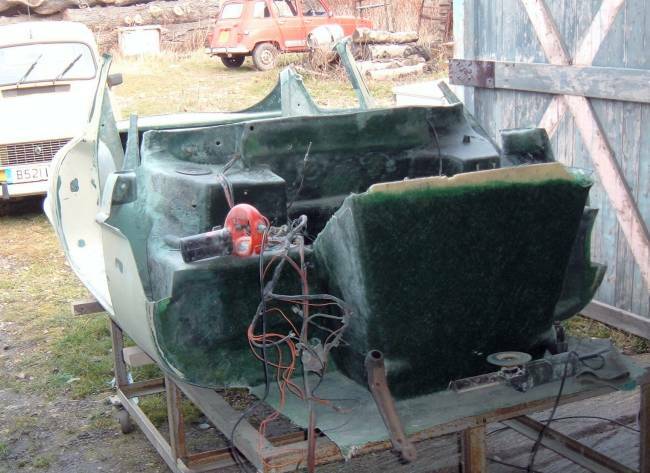 The body repair section replaces a large percentage of the body area on the Rochdale. 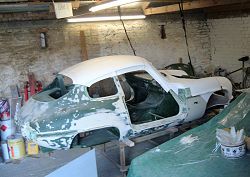 In the photo the existing front end and roof have been removed ready for the new panels. The roof and remaining bits of front end have been removed. 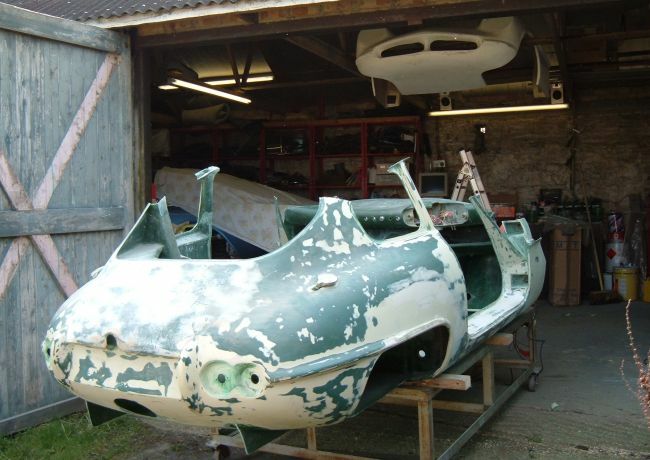 The new front end will be lowered onto the shell complete with roof, which with luck will result in a fairly complete looking Rochdale Olympic. 15th March 2005. Robert turns up at an unprecedented 10am on Saturday morning. He's like a man with a mission this weekend, determined to trial fit the roof and front end before we go drag racing on Sunday. The trial fit is successful - the panels are in place, and the Rochdale is temporarily transformed. With this confidence boost the car will surely now come on in leaps and bounds. Talking of leaps and bounds we managed a 14.6 second quarter mile drag racing the MGB. 24th July 2005. This rather shiny thing is a mould for the radiator inlet duct. 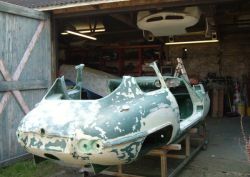 It was painstakingly constructed from foam covered in glassfibre, which was then smoothed with body filler and polished. 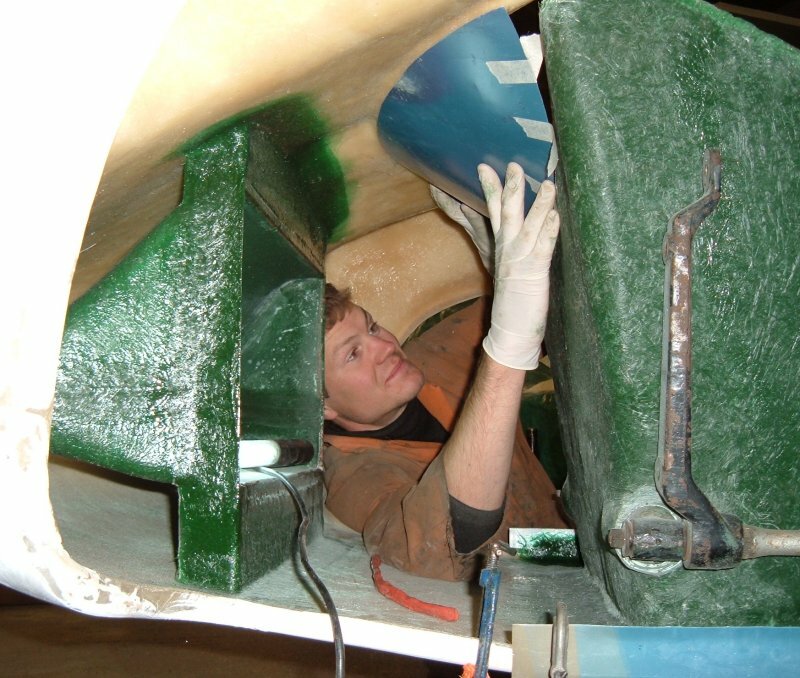 The rear part of the duct forms the mounting for a Rover Metro radiator. 10th September 2005. The radiator duct in place and looking splended. The Metro radiator will bolt neatly onto the rear face. 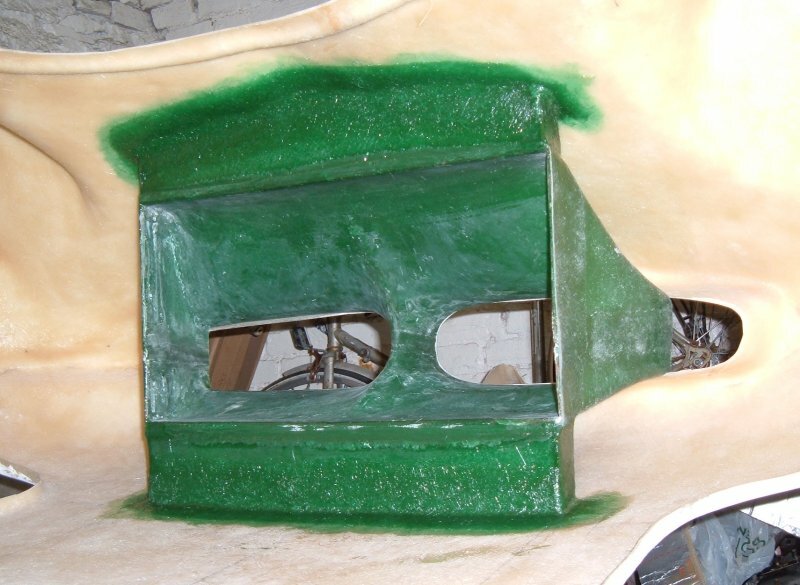 Anyone wishing to have a similar part made will be disappointed that all the filler fell off the mould when the fibreglass duct was extracted. 23rd October 2005. The front end is really starting to come together. 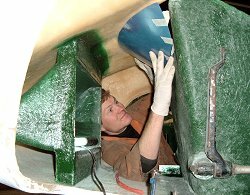 Robert positions an aluminium mould that will connect the cold water tank to the front of the bonnet. Things will get more complex from here. There is going to be a flap that will duct hot air from the radiator into the cabin during the winter, and into the wheelarches in the summer. The lack of updates for the rest of 2005 was mostly due to the Davrian. It's Hillman Imp based, and since September has had some sort of head gasket trouble that's involved removing and replacing various different cylinder heads many many times. 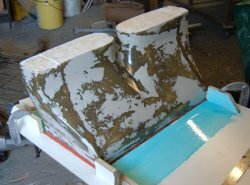 We may now have found the solution: radweld!